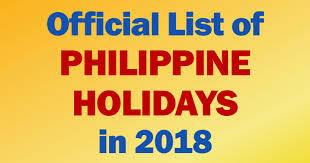 Proclamations to declare national holidays for Eid'l Fitr and Eid'l Adha follow after approximate dates of the Islamic holidays have been determined. No pay, unless there is a favorable company policy, practice, or collective bargaining agreement (CBA) granting payment of wages on special days even if unworked. For work performed, an employee in the Philippines is entitled only to his basic rate. No premium pay is required since work performed on said days is considered work on ordinary working days.